This episode features Dr. Thrift giving you some motivation to help you succeed financially. Today he helps you understand the value of using postivie thoughts in conjunction with your goals to help your mind believe you can achieve those goals. If the mind can believe, you can achieve. 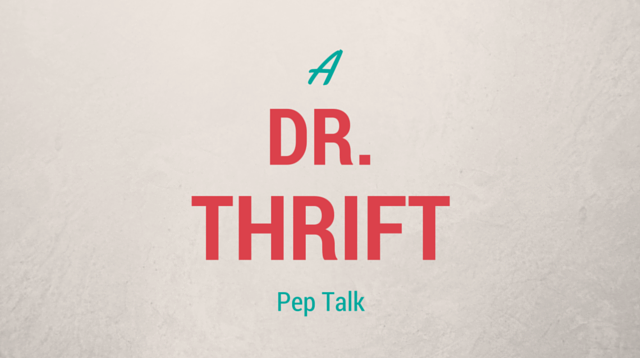 Let Dr. Thrift give you a pep talk. In this installment, Dr. Thrift played the clip from Kid President. Check it out here. You can find the Chris LoCurto show that Dr. Thrift mentioned by clicking here. The Ray Edwards show that Dr. Thrift also mentioned can be listened to using this link.